Employee engagement is one of those trendy terms that gets thrown around at conferences and in articles. It feels like something that comes from the corporate team. In the property management space, however, the property manager is the true team leader and can have a tremendous impact on whether team members stay or go. If employees leave bosses and not companies, let's talk about simple but powerful ways that you, as the manager and team leader, can engage, inspire, and motivate your team members to achieve for the property, the company, and for you. Let's face it, people have options, our industry is growing. You'll leave this session with ideas that can be implemented immediately, but can have an impact over the years to come as you build a motivated team around you. 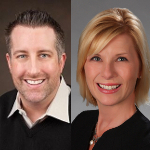 Join Steve Matre, Kara Rice, and the Webinar Wednesday Team on November 20, 2019 at 12pm to Motivate and Reward! Steve Matre is Director of Education and Human Resources for Banner Property Management and its affiliates, a real estate organization that specializes in design, development, acquisition, and management of multifamily housing, conventional and affordable, and self-storage facilities, in approximately 15 states. His diverse career path includes such positions as VP-Operations for portfolios as large as 10,000 units; Assistant Controller for a full-service management and brokerage firm; originator of Banner’s training, marketing and revenue management functions; and head of human resources. Steve gives back through IREM and the National Apartment Association, having been a board member of Chicagoland Apartment Association, task force chair to begin CAA’s partnership with its favored charity, instructor of CAM, CAPS, and NALP designations, and member of various committees. Steve is a CPA, CPM, and PHR. He has written over 60 published articles and presents regularly at educational conferences and other events. A graduate in Finance and English from the University of Wisconsin, he is a big Badger football fan and cannot spend enough time learning about the technology and skills that will help to constantly improve his company’s productivity and success through its dynamic people. If he doesn’t answer his phone, his earbuds are in and he’s listening to his favorite podcasts.